Local schools are once again invited to help name the hatchlings of the Tappan Zee peregrine falcons. 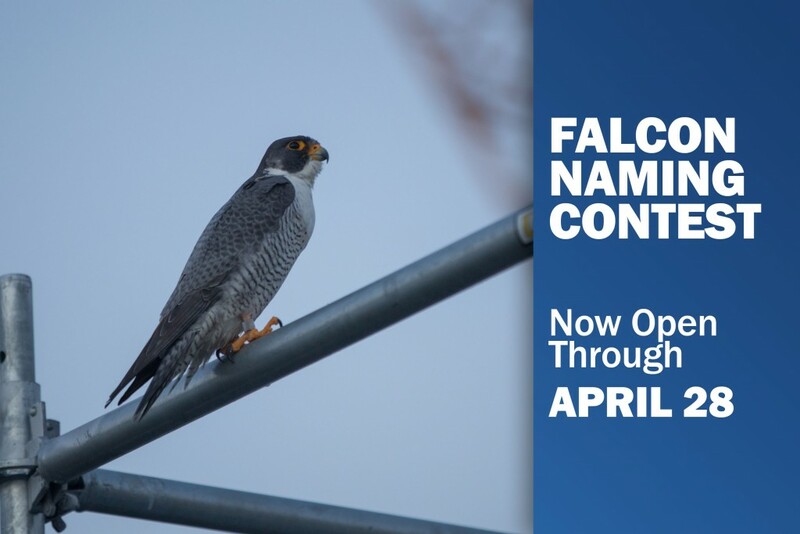 Elementary and middle school classes can share their suggestions throughout this month as part of the New NY Bridge project’s annual Falcon Naming Contest. The public will then have an opportunity to weigh in on the students’ choices during a week-long online poll in May. The number of winning names will match the number of falcons hatched this year. Onlookers may see hatchlings via the project’s FalconCam as early as the second week of April. The Tappan Zee peregrine falcons have visited the bridge’s man-made nest box annually for many years. Similar nest boxes have steadily helped grow the state’s falcon population in recent decades. The nest box — installed and maintained by the New York State Thruway Authority — provides shelter and a high vantage point from which the peregrines can seek out and dive after prey. Capable of exceeding 200 miles per hour, peregrine falcons are the fastest members of the animal kingdom.